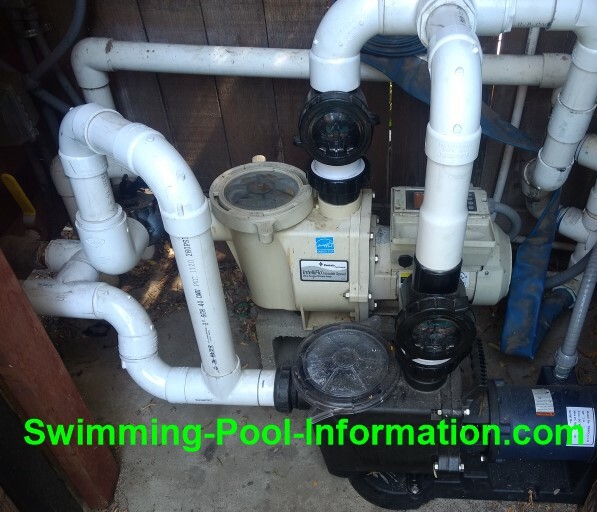 The round valves above pumps allow one pump to run without pushing water backwards thru other pump or both pumps to run at same time. 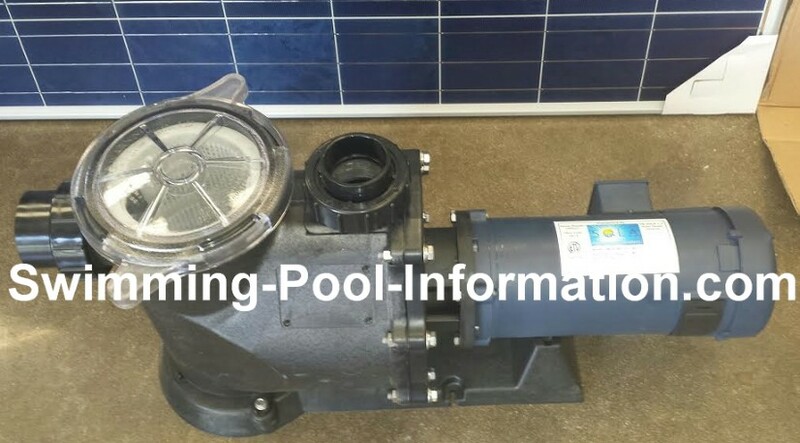 The pump above is a Sun Ray pump from Natural Current.They claim 400 GPM flow which is quite incredible,more than most people would ever need but great for a slide or waterfall. 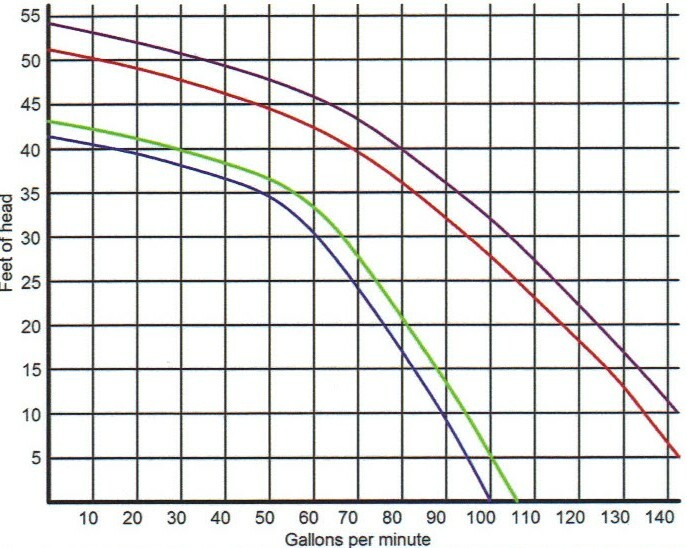 1000.00 Rebate on energy efficient pumps! 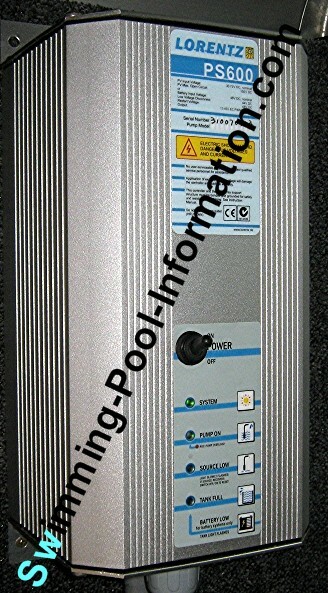 These pool pump systems are DC solar powered and come with a controller and usually panels too. 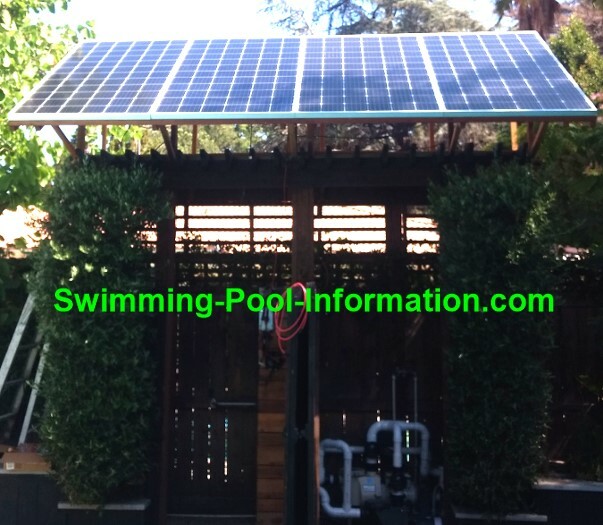 I saw the pump pictured below at a pool show and they were running pump with just two solar panels and it was a cloudy,overcast day. 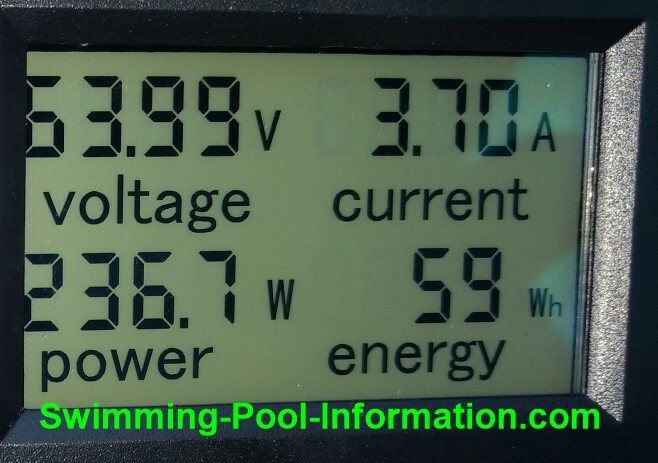 This particular pump is roughly equivalent to 3/4 HP and can pump about 60 GPM on the average pool on a sunny day. 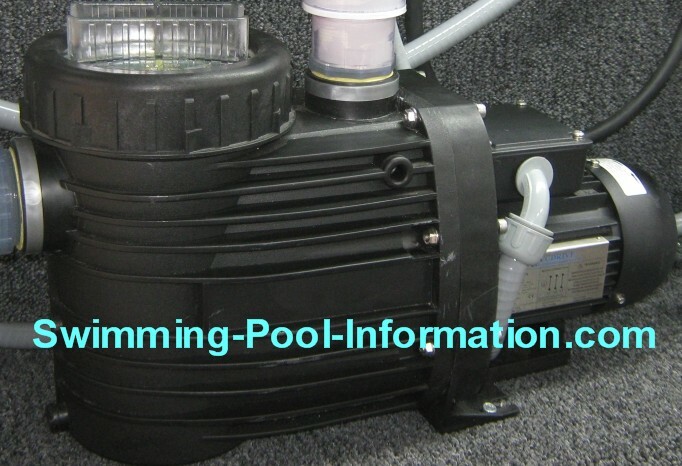 Higher output pumps that require more panels are available for commercial/large swimming pools. 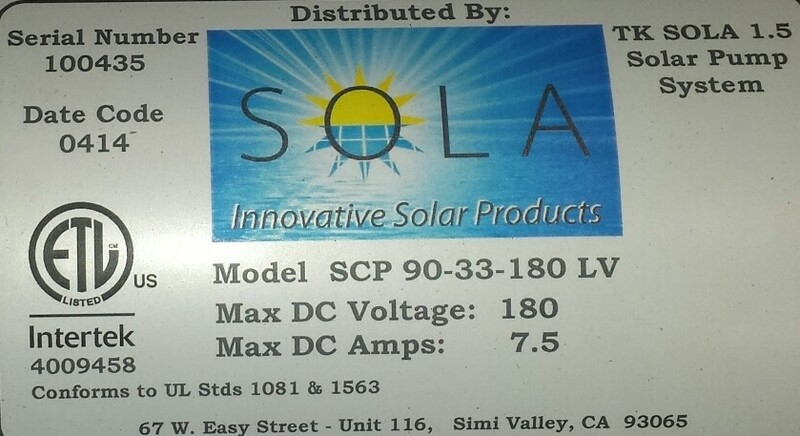 The controller coverts the DC to three phase to run motor.